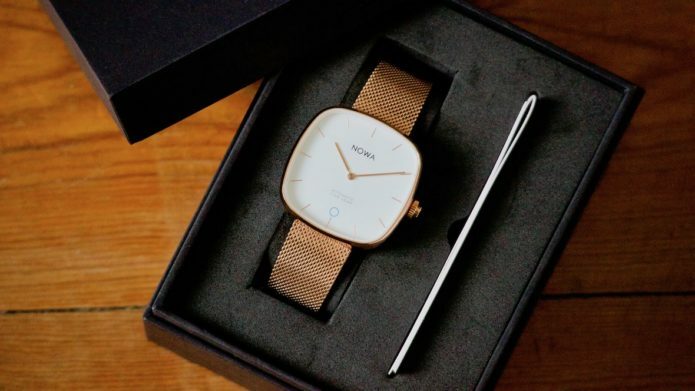 Fossil and Kronaby may be the big dogs in the world of hybrid smartwatches, but Nowa’s first hybrid, the Shaper, was a skinny and stylish alternative that we enjoyed. It also did really well on Kickstarter. Nowa is now back at it again with the Superbe, another skinny hybrid that changes the style up a bit. Rather than go with a 40mm circular watch face like on the Shaper, Nowa opted for a 36mm square face. As it’s a little smaller, it’s a bit of a better unisex option.